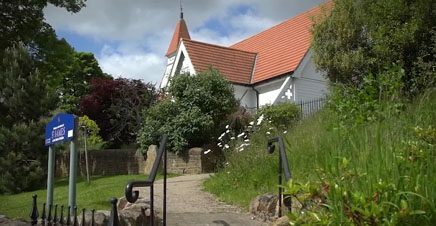 May 2015 – The recently renovated beautiful white wooden church of St. James in Baildon provided the perfect setting for the wedding of Leanne and Tom. After the ceremony it was a short trip across the road to the fantastic Halfway House to carry on the festivities. As a solo wedding videographer, I can ensure your wedding day is filmed with the minimum of fuss or intrusion, yet using the latest professional video and audio equipment. I hope you like this trailer from The Halfway House in Baildon, West Yorkshire.